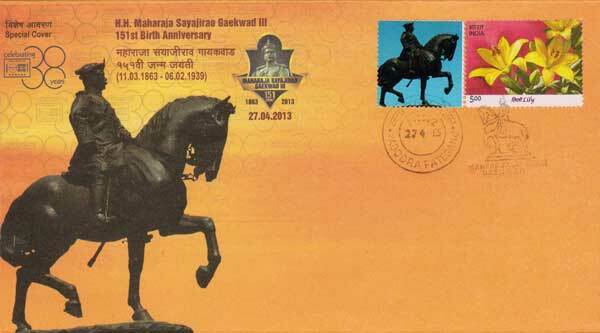 Commemorative Stamp on Hari Singh Nalwa - 30th April 2013. 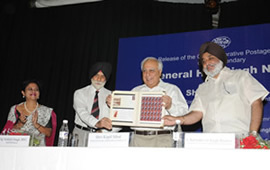 Communications and Information Technology Minister Kapil Sibal released a commemorative postage stamp on Hari Singh Nalwa, a former commander of the Sikh Empire that was ruled by Ranjit Singh in the early part of the 19th century on 30th April 2013. Hari Singh Nalwa (1791–1837) was Commander-in-chief of the Khalsa, the army of the Sikh Empire. He is known for his role in the conquests of Kasur, Sialkot, Multan, Kashmir, Attock, Peshawar and Jamrud. Hari Singh Nalwa was responsible for expanding the frontier of Sikh Empire to beyond the Indus River right up to the mouth of the Khyber Pass. In 1831, he opposed moves by Ranjit Singh to appoint Kharak Singh as his successor as Maharaja of the Sikh Empire. At the time of his death, the western boundary of the empire was Jamrud. He served as governor of Kashmir, Peshawar and Hazara. He established a mint on behalf of the Sikh Empire to facilitate revenue collection in Kashmir and Peshawar. 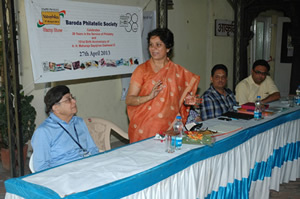 Baroda Philatelic Society, Vadodara celebrated 38 years of its establishment. Established on 27th April, 1975, Baroda Philatelic Society is proud to have continuously served the philatelist fraternity for 38 years. 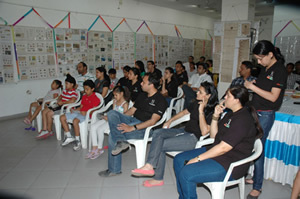 It is one of the oldest philatelic societies in the state of Gujarat. 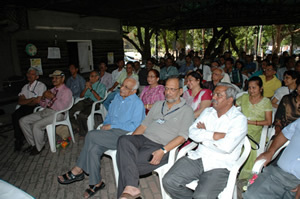 As part of celebration of 38 years of its existence, a non-competitive one frame philatelic exhibition 'Stampmania's - Vadophilex' was organized on 27th and 28th April 2013 at Akruti Art Gallery, Beside Kirti Mandir, Opp. S. S. G. Hospital, Vadodara. 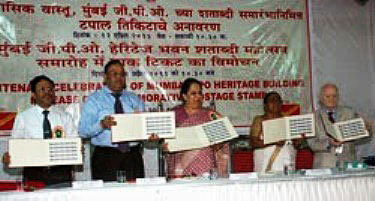 Dr. Jyotiben Pandya, Mayor of Vadodara Mahanagar Seva Sadan, inaugurated 'Stampmania's Vadophilex' Stamp Show on 27th April 2013. 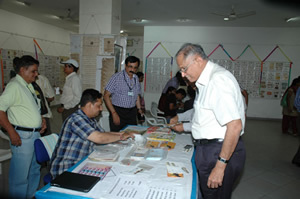 There was a display of exhibits of members of Baroda Philatelic Society and invitees on various subjects in about 40 frames. 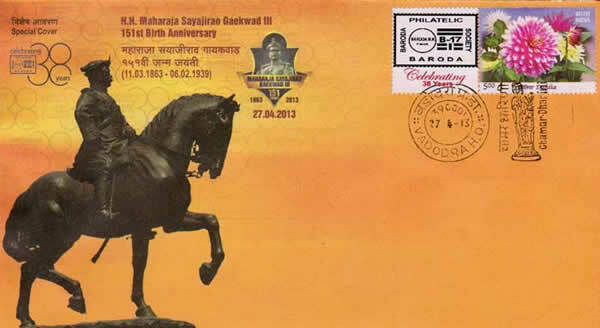 A Special Cover to mark 38 years of Baroda Philatelic Society and 151st Birth Annivarsary of H. H. Maharaja Sayajirao Gaekwad was issued in function. 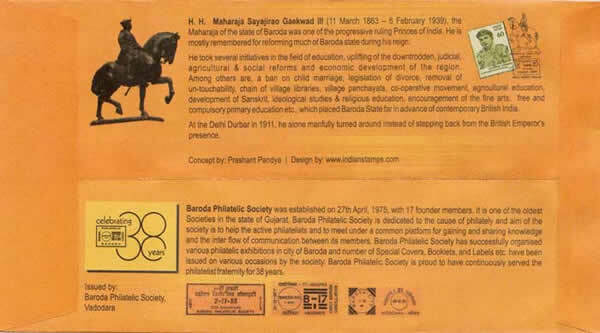 Also two customised 'My Stamps' on Sayajirao Gaekwad Smarak (Kalaghoda) and with a Logo of Baroda Philatelic Society were issued during the exhibition. 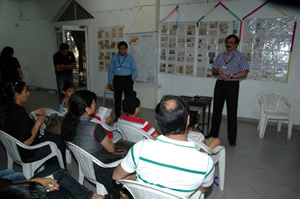 Group discussion on philately with the members of 'Young Indian' group during 'Stampmania's Vadophilex' Stamp Show. 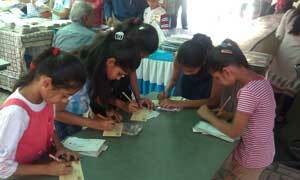 Letter writing activity at 'Stampmania's Vadophilex' Stamp Show with the support of JCI Vadodara Sayajinagari. 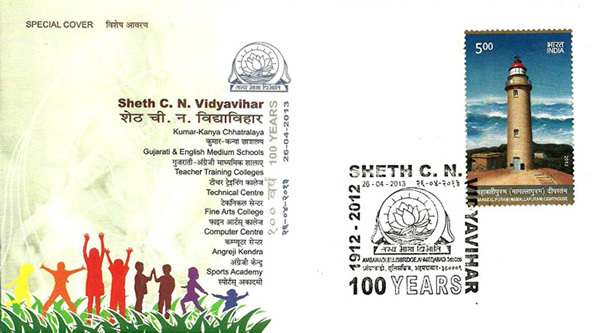 A Special Cover to mark 100 years of Sheth C. N. Vidyavihar, Ahmedabad was released at Ahmedabad on 26th April 2013. Special Cover on 'Destination of Winter Sports' Gulmarg - 20th April 2013. Gulmarg is popular destination in the Indian state of Jammu and Kashmir for Winter Sports. Gulmarg is known as the "heartland" of winter sports in India. The “heartland of winter sports in India”, as quoted by CNN, is a gathering ground for all things extreme sports and outdoors related. In the winter, the diverse and extreme terrain combines with torrential snowfall to create a snow destination that is among the best in the world. A special cover was released at Gulmarg to highlight this Winter Sports destination of Jammu & Kashmir on 20th April 2013. Special Cover released to mark Golden Jubilee of Mohanlal Sukhadia University, Udaipur - 17th April 2013. 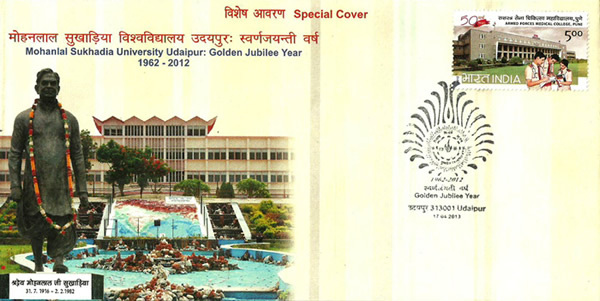 A Special Cover was issued at Udaipur to mark Golden Jubilee Year of Mohanlal Sukhadia University of Udaipur on 17th April 2013. 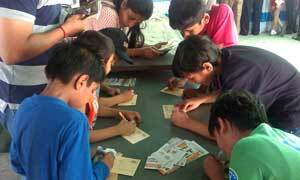 Army Cover to mark Golden Jubilee of EME School, Vadodara - 15th April 2013. The Electrical and Mechanical Engineering School, better known as the EME School of the Indian Army, located in the city of Vadodara celebrated its golden jubilee on 15th April 2013. The school is amongst the premier establishments of the Indian Army involved in training of officers and personnel of the Corps of EME. The school was raised on April 15, 1963, in Vadodara in the presence of scion of Royal Gaekwad family late Fatehsinhrao Gaekwad. The school is located in an area where a British army cantonment existed during the rule of Gaekwads of the erstwhile Baroda state. An Army Cover was issued by Army Postal Service on 15th April 2013 to mark Golden Jubilee of EMS School, Vadodara at a function held in Vadodara. 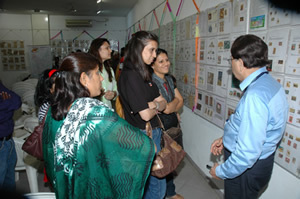 Philatelic Exhibition, Seminar on 'Women Empowerment' at Srinagar - 15th April 2013. 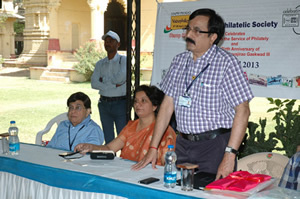 The Department of Posts, J&K Circle organized a seminar on Women’s Empowerment during the Philatelic Exhibition held on April 15, Monday at 10:30 A.M. at Government College for Women, M. A. Road, Srinagar. 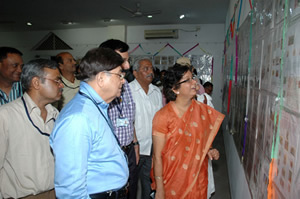 Chief Post Master General, Shri John Samuel inaugurated the Philately exhibition on the same theme. A special cover was also released on the occasion. Commemorative Stamp on Chaitya Bhoomi - 14th April 2013. 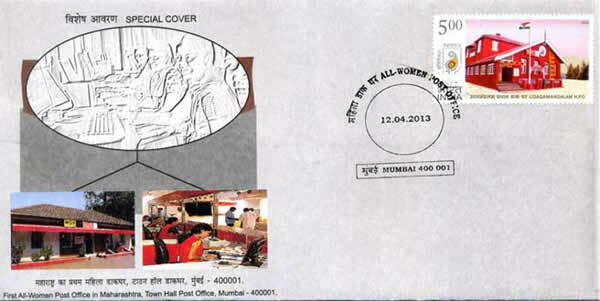 India Post issued a commemorative postage stamp on Chaitya Bhoomi Mumbai on 14th April 2013. Maharashtra Governor K. Sankaranarayanan and Chief Minister Prithviraj Chavan released the commemorative postage stamp on Chaitya Bhoomi in Mumbai on occasion of 122nd birth anniversary of Baba Saheb Dr. B. R. Ambedkar. Chaitya Bhoomi is a reverred place of pilgrimage for the Buddhists in India. Dr. Babasaheb Ambedkar, the architect of Indian Constitution was cremated here after his death on 6th December, 1956 in accordance with Buddhist traditions. Eventually, this place was later converted to Chaitya Bhoomi which is now a National Monument. The Chaitya Bhoomi Memorial Monument was inaugurated by Mrs. Meerabai Yashvantrao Ambedkar, who is the daughter-in-law of Dr. B. R. Ambedkar, on December 5, 1971. A large number of people from all over the country visit Chaitya Bhoomi every year on December 6th to offer respects and pay homage to Dr Ambedkar. Carrying millions of blue waving flags they march to the Chaitya Bhoomi on this day. 'The first Mahila Dak Ghar – a post office entirely operated by women staff was inaugurated today by Ms. P Gopinath, Secretary, Post and Chairperson, Postal Services Board, Government of India, in Mumbai. This Post Office is located at New Customs House on the Shaheed Bhagat Singh Road in the busy office area of South Mumbai, in close proximity of the Collectorate, Old Customs House, Asiatic Library and RBI. 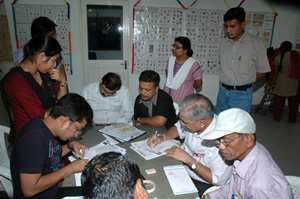 The office, which will be open from 10 am to 6 pm, offers both traditional and modern postal services like booking of all registered and speed post articles, e-Money Order, Western Union Money Transfer, e-payment of utility bills of MTNL, BEST And Mahanagar Gas Ltd, besides the Post Office Savings Bank transactions. As of now, 12 female employees will run the Mahila Dak Ghar, headed by a Senior Superintendent of Posts. Currently, the Maharashtra Postal Circle has a total staff strength of 26,468, out of which 5,008 are women. “As a mark of respect to the women of Maharashtra, we decided to launch the first Mahila Dak Ghar in this circle in Mumbai “said Col. K C Mishra, Chief Post Master General, Maharashtra and Goa Circle. 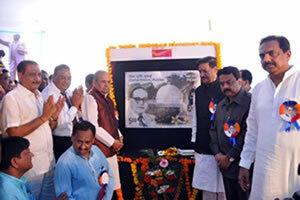 A speical cover was released to mark the inauguration of first 'Mahila Dak Ghar' in Mumbai. 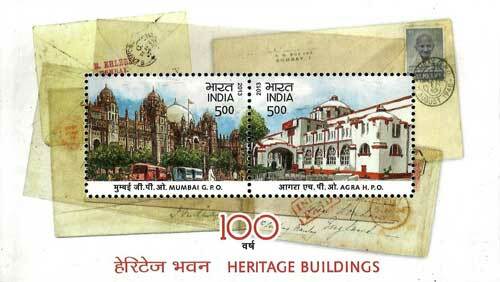 Commemorative Stamp on Heritage Buildings - 100 Years of Mumbai GPO and Agra HPO - 12th April 2013. India Post marked the centenary of Mumbai GPO building, with the release of commemorative postage stamp on 12th April 2013 by Ms. P. Gopinath, Secretary, Posts and Chairperson, Postal Services Board, at a function held in the precincts of the heritage building. As part of the celebration, India Post has also organized a philatelic exhibition on Mumbai at the ground floor of the GPO. General Post Office, Mumbai, was established in the year 1794 by the then Postmaster General for Bombay Presidency, Charles Elphinstone. The present GPO building was designed by John Begg, Consulting Architect and the construction was completed in 1913. The building is a magnificent example of the Indo-Saracenic style adopted by the British in India. The most remarkable feature of the interior of the GPO is its central dome, which has distinctive resemblance to the Gol Gumbaz of Bijapur. It has a diameter of 65 feet, which is the largest in the city. Turrets and minarets resemble Moghul Architecture. India Post also released a stamp on Agra HPO along with a miniature sheet on the occasion of 100 years of Agra Head Post Office. Agra Post Office building was built in 1913. This Post Office is one of the oldest Post Offices of India. It is told that it was District Hqr of Import/Export before starting of Postal operations, which was later on recognized as Post Office. This Post office building is a model of beautiful architecture. One of the historical buildings of India Post, it has arched architecture with two beautiful Porches on both sides. Department of Posts released a set of two Commemorative Postage Stamps and a Miniature Sheet on Arasavalli and Srikurmam temples of Srikakulam district on the occasion of Ugadi on 11th April, 2013. The stamps were released by Union Minister of State for Communication and IT Killi Kruparani at a function organised in Srikakulam. 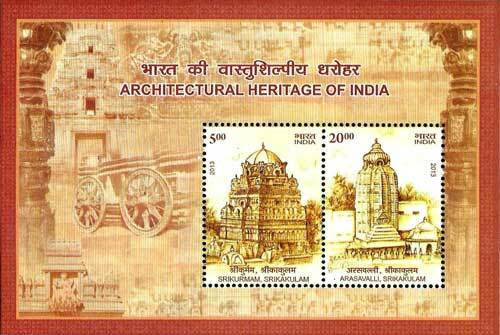 The set of stamps are released in the series on Architectural Heritage of India. Two maxim cards depicting permanent pictorial cancellations on Arasavalli and Srikurmam temples were also released on the occasion. The cancellations would be available in Arasavalli and Srikurmam sub-post offices, according to Assistant Director Posts in a statement released. One stamp focuses on the Arasavalli Temple, the Sun temple of the 7th century AD in Andhra Pradesh. This temple speaks volumes about the architectural expertise of the Vishwakarma sculptors of Odisha. Believed to have been built by Devendra, the ruler of Kalinga, the unique design of the temples ensures that twice a year in March and September, the sun's rays touch the feet of the deity, the Sun God. It is a 'Panchayatana' temple with Aditya in the centre and Ganeshs, Shiva, Parvati and Vishnu in the four corners. The other stamp features the Srikurmam temple situated in Srikakulam. It is the only temple dedicated to Lord Vishnu in the avatar of Srikurmam, the tortoise. The temple is believed to have been built before the 2nd century AD. Famous for its 200 granite pillars that have inscriptions in the Devnagri script, the 41 panels of mural paintings on the walls of the temple depict various mythological events.